The following article is feature in Warehouse News. 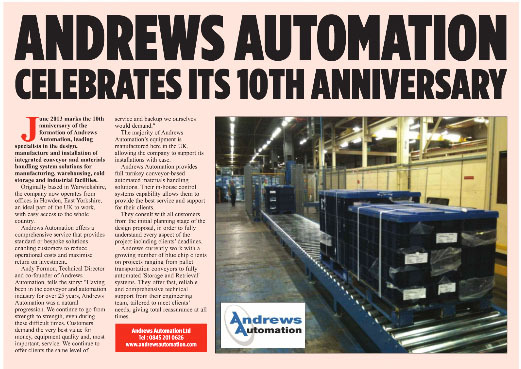 June 2013 marks the 10th anniversary of the formation of Andrews Automation, leading specialists in the design, manufacture and installation of integrated conveyor and material handling system solutions for manufacturing, warehousing, cold storage and industrial facilities. Originally based in Warwickshire, the company now operates from offices in Howden, East Yorkshire, an ideal part of the uk to work, with easy access to the whole country. Andrews Automation offers a comprehensive services that provides standard and bespoke solutions enabling customers to reduce operations costs and maximise return on investment. The majority of Andrews Automation’s equipment is manufactured here in the UK, allowing the company to support its installations with ease. 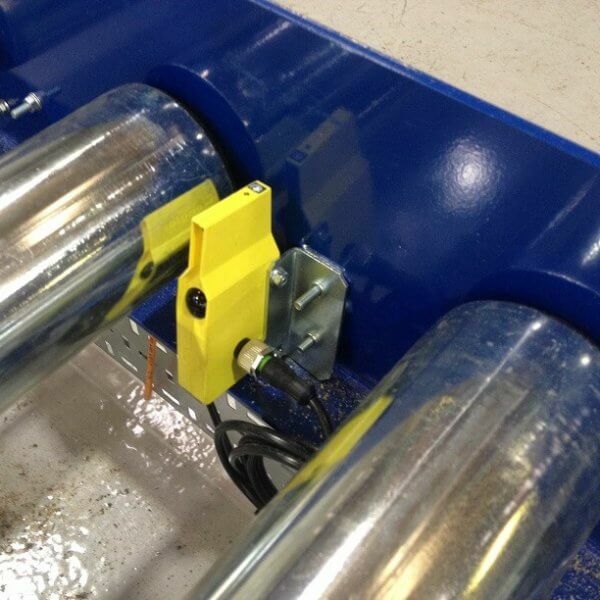 Andrews Automation provides full turnkey conveyor-based automated materials handing solutions. Their in-house control system capability allows them to provide the best service and support for their clients.